Flexible PA package with Electro-Voice Live X Series speakers. Built tough for the stage, the Live X Series combines solid wood enclosures with high-end components for pro-grade sound at an affordable price. Whether you choose the the 12 in. ELX112 or the 15 in. ELX115, you'll enjoy clear and powerful sound with satisfying low end and clean highs. Designed for uncompromising performance, the Live X Series delivers incredible sound for demanding professionals for a wide range of applications. 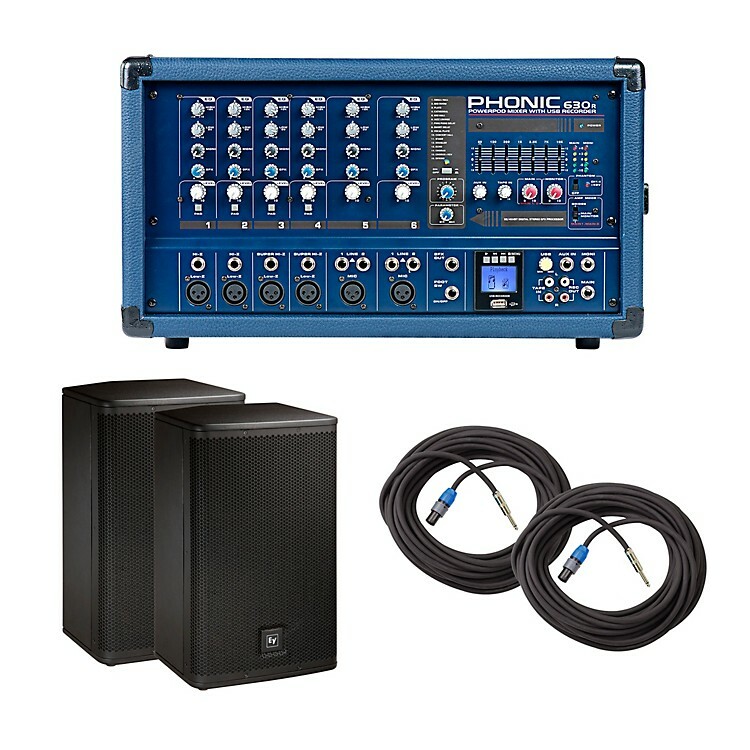 Order today and get gig-ready with this powerful PA package.